Oneill Mens Reactor II 1.5mm Neoprene Top is a comfortable, stretchy and durable Neoprene wetsuit top. If you've been around wetsuits for a while you'll have heard of the Reactors but the recently upgraded range from Oneill adds the updated Fluid-Flex neoprene without reducing the unrivalled durability we've come to love. Taking a step back, the recent advancements added to the Oneill Mens Reactor II 1.5mm Neoprene Top, we are happy to report that you're going to protected from nasty wind-chill whilst providing your core/vitals with decent thermal retention. Most people wear Neoprene Wetsuit Tops to provide their core with warmth when the conditions don't demand a full wetsuit. The Reactor range of Oneill Wetsuits is a no nonsense range of surfing wetties and accessories that won't break the bank, or break - we can't actually say that (because it's not true), but the Reactor are built tough with their flatlock stitching. To get the most out of your Oneill Mens Reactor II 1.5mm Neoprene Wetty Top we recommend washing it with Wetsuit Wash & reading our maintenance guide. Boardie Tie: a small loop is stitched into the Rector Neoprene top that allows you to fasten your boardies to your wetty top, that way it can't ride up! 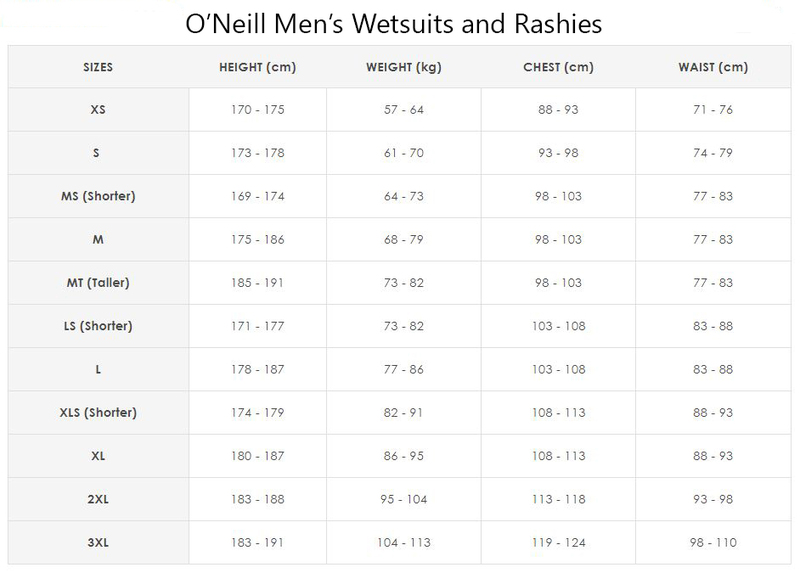 Smart Seams: Oneill's immense experience as a wetsuit company (Jack Oneill is touted to be the inventor of the modern wetsuit) allows them to draw on decades of anatomical research. All of this creates a range of wetsuits that minimises the overall length of seam and ensures they're in low-strain zones - this isn't just true in there $700 suits but is a part of their entire wetsuit range, all the way down to their wetsuit accessories.